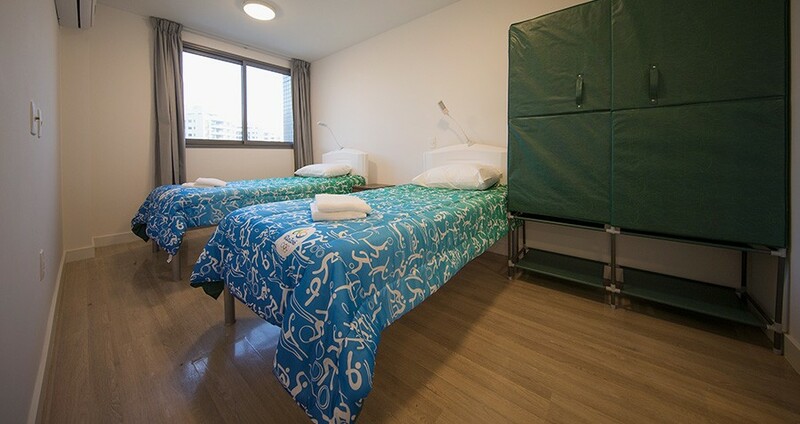 Buda Mendes/Getty ImagesA bedroom of one of the units within the Olympic and Paralympic Village for the 2016 Rio Olympic Games. With so many problems facing the Rio Olympics before it’s even begun, a good question may not be “what’s gone wrong” with the quadrennial event but what’s gone right. And Olympian housing apparently isn’t one of them. As Olympians began to move into the Olympic village this weekend, serious concerns over plumbing and fire safety stopped some delegations in their tracks. Indeed, on Sunday evening the Australian Olympic Committee (AOC) confirmed that the village was “uninhabitable,” and that the Australian athletes would not be moving into the village, the Sydney Morning Herald reported. “Problems include blocked toilets, leaking pipes, exposed wiring, darkened stairwells where no lighting has been installed and dirty floors in need of a massive clean,” AOC Chef de Mission Kitty Chiller said in a statement. Chiller said that she and her team had been working “long hours” over the past week to prepare their section of the village for the Australian athletes, and decided to put the plumbing to the test on Saturday. For its part, a Rio organizing team sent in cleaners and repair staff, but did not say when the village would be open, the Morning Herald wrote. Other countries — such as Great Britain and New Zealand — reported similar problems. The shoddy wiring is just the latest in the spate of Rio-related woes. Beyond concern that some venues will not be completed by the time the games start — and that raw sewage is poured into Guanabara Bay, where athletes will compete — fear of the Zika virus has led some athletes to sit this one out. Add to that uncontrollable street crime and a credible ISIS threat, and well, bad wiring seems like a good problem to have. Next, see what happens to abandoned Olympic sites after the fun is over.